1 What is global priorities research? 2 Why work on global priorities research? 3 What are the major arguments against this problem being pressing? 4 What is most needed to solve this problem? 5 What can you concretely do to help? 6 Want to work on global priorities research? We want to help. 6.2 What are some top career options within this area? 6.4 Which organisations could you work at? 6.5 Where to donate to help global priorities research? 8 Want to work on global priorities research? We want to help. How would you spend $500,000,000,000? Every year governments, foundations and individuals spend over $500 billion on efforts to improve the world as a whole. They fund research on cures for cancer, the rebuilding of areas devastated by natural disasters, and thousands of other projects. $500 billion is a lot of money, but it’s not enough to solve all the world’s problems. 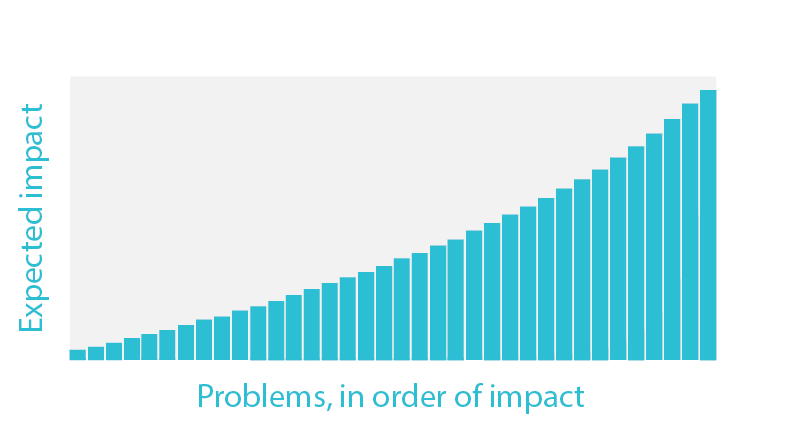 This means that organisations and individuals have to prioritise and pick which global problems they work on. For example, if a foundation wants to improve others’ lives as much as possible, should it focus on immigration policy, international development, scientific research or something else? Or if the government of India wants to spur economic development, should it focus on improving education, healthcare, microeconomic reform, or something else? As we’ll see, there are vast differences between the effectiveness of working on different global problems. 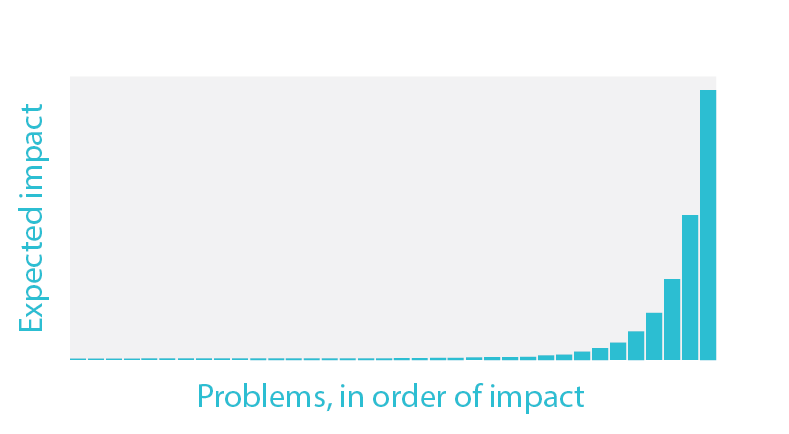 But of the $500 billion spent each year, only a miniscule fraction (less than 0.01%) is spent on global priorities research: efforts to work out which global problems are the most pressing to work on. With a track record of already influencing hundreds of millions of dollars, future research into global priorities could lead to billions of dollars being spent many times more effectively. As a result, we believe this is one of the highest impact fields you can work in. This profile is a summary of our full research report, for which we interviewed eight people involved with global priorities research. Governments, foundations and individuals spend large amounts of money on efforts to improve the world. However, there is currently little research to guide them on what priorities they should focus on at the highest level. Global priorities research applies techniques from economics, maths, and social science to help organisations choose which global problems they should spend their limited resources on, in order to improve the world as much as possible. This is among the most pressing problems to work on. It seems plausible that better prioritisation within international organisations and governments could raise global economic output by more than 10%. Or that better understanding of existential risk reduction priorities could lower extinction risk by between 0.1% and 1%. There’s a lot of uncertainty in these estimates. Current spending of the main global prioritisation groups is between $5-10 million a year. Doubling spending would be expected to solve 1% of the problem, but there is a lot of uncertainty in this estimate. What is global priorities research? Global priorities research mainly lies at the intersection of economics and moral philosophy. It looks at the highest-level issues concerning which global priorities most further the social good, especially from a long-term perspective. This means topics like whether pandemic risk is more pressing than climate change, and what methodology should be used to answer this kind of question. See a research agenda produced by the Global Priorities Institute in Oxford. Why work on global priorities research? For example, in rich countries like the U.S. or Switzerland the marginal cost to save a life through spending on health care is over $1 million dollars.1 By contrast, the marginal cost to save a life in sub-Saharan Africa through distributing anti-malarial bednets is estimated to be less than $10,000.2 This suggests that if a foundation focused on health in developing rather than in rich countries, it could save on the order of 100 times as many lives. If such big differences in effectiveness exist, then it is crucial to identify the best areas to focus on. Finding a more effective area could mean we achieve ten or a hundred times as much. Choosing poorly could mean achieving only 1% as much. The aim of global priorities research is to enable decision makers to avoid this mistake. The differences in effectiveness between working on different problems could be bigger if there are problems that humanity hasn’t even thought of yet. And it seems likely that we haven’t discovered all the serious global problems which exist. When we look at the history of the human race, we see many examples of major moral problems that most people were completely oblivious to. These include slavery, the deplorable treatment of foreigners, the subjugation of women, the persecution of people who aren’t heterosexual, and the gross mistreatment of animals. It is unlikely that we’re the first generation to have discovered all the serious moral problems that exist, meaning there are probably major global problems we aren’t even aware of today. Global priorities research could have a huge impact if it identified new pressing problems that we’re not aware of, and redirected money and talent towards working on them. Organisations whose stated purpose is to pursue the common good spend tens of trillions of dollars each year (out of a global GDP of around $75 trillion), most of which is spent by governments domestically. Foreign aid spending is over $135 billion each year, and private philanthropy in the US totals $350 billion each year. Probably only a small fraction of these tens of trillions of dollars is genuinely intended to improve the world as much as possible, rather than promote the interests of a specific group (e.g. a voting block within a specific country). And only a small fraction of that would be responsive to higher quality research. Nonetheless, if billions of dollars could be redirected to problems that are larger in scale, more neglected, or easier to solve, this could provide huge gains. However, since differences in effectiveness can be so large, even if research only influences a comparatively small amount of resources, it can be highly effective. As one example, the charity evaluator GiveWell produces research which, in 2015 alone, led individuals to give $15.5 million to the highly effective charity the Against Malaria Foundation. These donations will likely save around 2,000 lives through the distribution of bed nets that protect people from malaria.3 Only around 4% of US charitable donations go to international causes. 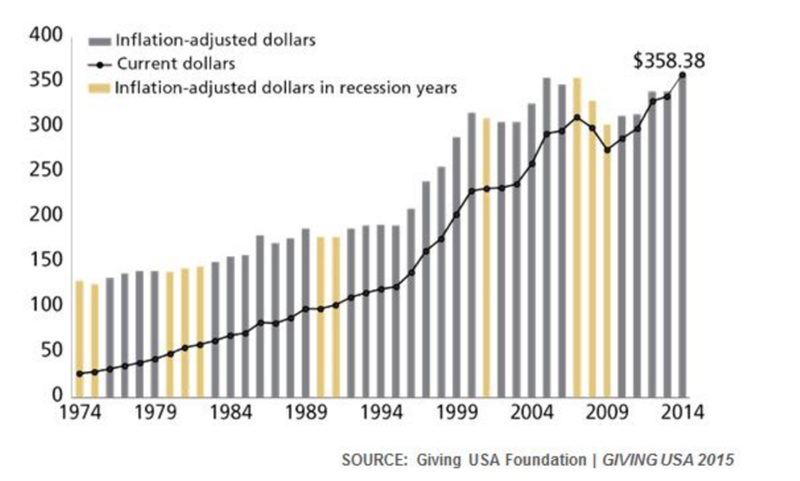 This makes it likely that the majority of the $15.5 million GiveWell redirected would have gone to charities working in the US, which, on average, do far less to improve lives than charities working internationally. However we should note that there is also research being done which indirectly helps with setting global priorities, for example work done by some academic economists, and groups which run trials and compile data on specific on policy areas. What are the major arguments against this problem being pressing? You might think that global priorities research will not be able to reach more accurate results than our current best knowledge, due to the large amounts of uncertainty, ambiguity and judgement calls involved. Perhaps the reason this research is neglected is that it’s simply too difficult. GiveWell identifying global health as a promising area to look for outstanding donation opportunities. Identifying the importance of taking into consideration the effects on future generations when comparing different global problems. The development of better methodologies for prioritisation, like how to assess the value of working on problems of unknown difficulty, for example research into cold fusion, or institutional reform through political lobbying. Moreover, there are many ‘low hanging fruit’ opportunities for global priorities research still available. For example, researchers could aggregate expert opinions on the severity of different global problems, and gather existing empirical data on the relative scale, neglectedness and solvability of different global problems. You might think that politicians and donors won’t be motivated to act on the results of global priorities research. Maybe they’ll care more about securing re-election or will instead respond to emotional appeals and gut judgements. This is a reasonable concern, but we think that if good evidence is presented, at least some will act on the results, as demonstrated by the examples mentioned above. What is most needed to solve this problem? Researchers trained in economics, mathematics, or philosophy to develop the methodology for setting global priorities. Researchers trained in social and natural sciences with the ability to collect data and analyse specific global problems. Additional researchers can not only enable more progress on these questions, but they also demonstrate that this area is of academic interest, which can bring in more researchers in the future. Also needed are academic project managers and operations staff to help scale up existing institutes and found new ones. Finally, it’s less of a bottleneck, but funding is also needed. Funding could be used to scale up and found new research centres. It would also be useful to fund scholarships for individuals, and it would be ideal for one or two funders to specialise in evaluating research proposals in this area. Want to work on global priorities research? We want to help. If you want to work in this area as a researcher, you’ll need training in the relevant disciplines. If you are an undergraduate, you can major in, or take classes in mathematics, economics, statistics, or analytic philosophy. If you are out of university, you can take online classes in these subjects, for example this introduction to microeconomics. In general, the best graduate subject is an Economics PhD. The next most useful subject is philosophy, followed by decision-making psychology, scientific subjects relevant to emerging technologies, and topics like public policy, political science and international relations. People have also entered this field from maths, computer science and physics. You should also read the existing work of organisations working on global priorities research to get up to speed, for example Open Philanthropy Project’s cause reports. What are some top career options within this area? The only major academic centre currently focused on this research is the Global Priorities Institute at Oxford, so if you want to pursue this path as an academic that’s the ideal place to work. That said, we expect that other centres will be established over the coming years, and you could also pursue this research in other academic positions. We think the leading applied centre of this research is the Open Philanthropy Project, and the advantage of working there is that your findings will directly feed into how billions of dollars are spent (disclaimer: we have received grants from them). However, you can also pursue this research at other effective altruism organisations. 80,000 Hours, for instance, does a form of applied global priorities research focused on career strategy. There have also been people who have pursued global priorities research independently, such as Carl Shulman. These researchers often starting with blogging, and then taking freelance work from donors and the organisations. Work as an academic manager or administrator or in other support roles at organisations conducting global priorities research (listed below). Take a high-earning job and donate a percentage of your income to fund the research performed by the groups above. Read our advice on how to maximise the amount you’re able to donate. Owen was doing research in pure maths, which he thought would have little impact because it’s a well-established field which already attracts many of the world’s smartest people. Through discussions with the 80,000 Hours community he became convinced to use his research skills to work directly on the most pressing questions. So he transferred into doing global priorities research at the Centre for Effective Altruism and as a research fellow at the Future of Humanity Institute. 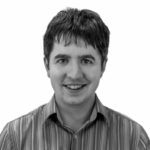 His research focuses on how to prioritise between working on problems in cases of large uncertainty. He has already advised high levels of the UK government, including the Science and Technology Committee of the House of Commons on the long-term impacts of advanced artificial intelligence. Which organisations could you work at? Open Philanthropy Project, which advises GoodVentures, a several billion dollar foundation, on its philanthropy. See current vacancies. Disclaimer of conflict of interest: we have received a grant from the Open Philanthropy Project. You could also consider working at their partner organisation, GiveWell, which carries out priorities research within international development. The Global Priorities Institute at Oxford, which is the leading academic research centre focused on this topic (note that our co-founder, Will MacAskill, is a researcher there). See current vacancies. Future of Humanity Institute, which does macrostrategy research to analyse the long-term outcomes of present day actions. See current vacancies. Copenhagen Consensus Center which brings together top economists to asses which solutions to global problems are most effective with a focus on international development. However, we have reservations about their work on climate change. See current vacancies and subscribe to get notified of new job openings. Global Catastrophic Risk Institute which compares different global catastrophic risks. Foundational Research Institute which researches ways to reduce risk from emerging technologies. Campbell Collaboration, which publishes meta-analyses that draw on large numbers of studies to determine the effectiveness of different types of social interventions. Poverty Action Lab, an academic network that specifically studies the effectiveness of interventions designed to alleviate poverty. Many other social scientists or medical researchers who run trials on ways of improving wellbeing. Where to donate to help global priorities research? You can donate to most of the organisations listed above, where currently the Global Priorities Institute seems like the best option (you can donate at the bottom of this page), followed by the Future of Humanity Institute (since it’s already well funded). The Open Philanthropy Project isn’t funding constrained. Podcast: The world’s most intellectual foundation is hiring. Holden Karnofsky, founder of GiveWell, on how philanthropy can have maximum impact by taking big risks. Podcast: Michelle hopes to shape the world by shaping the ideas of intellectuals. Will global priorities research succeed? See the research agenda produced by the Global Priorities Institute in Oxford. We commissioned a full report on cause prioritisation research in 2014. For examples of global priorities research, see Open Philanthropy Project’s cause reports and this series of posts on how to prioritise research. Working in the government you can have a big impact on pressing global problems. Here’s how to get started. Leaders survey: What are the most important talent gaps in effective altruism – and which problems are most impactful to work on? Podcast: Our descendants will probably see us as moral monsters. What should we do about that? GiveWell on strategic cause selection.